I went back to this place after my food tour as I wanted another bowl of wonton and I was in Central. I also discovered that you can have a combination of items in the bowl. You can have wonton, fish balls and also fresh sliced beef. 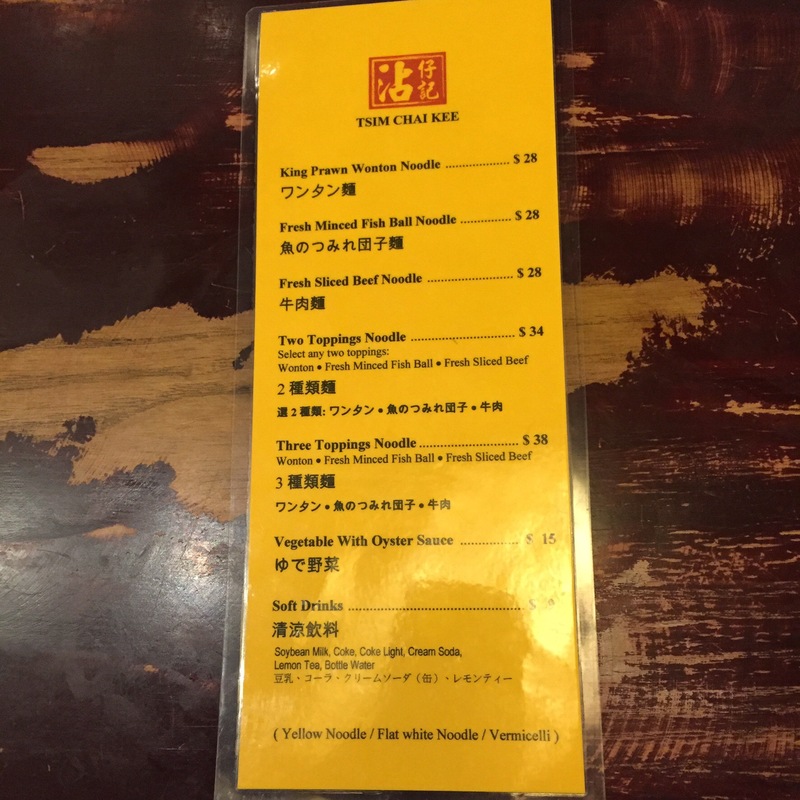 I few things I learnt about this place during the tour is they have their own receipe for their noodles. Unfortunately they do not make them anymore but interestingly they have contracted the job out to a Factory in China that have signed an agreement that they cannot sell their noodles to anybody else. They make their own chili sauce, which is really hot by the way. Also make their broth/soup from scratch every morning. Lastly this place has been recommended by the people that award Michelin stars for dinning. This comes in a rather medium to small bowl, but it is filled almost to the brim. The soup is really nice. It has a nice deep pork flavor to it, taste all natural and does not seem to have MSG in it. The Fishballs are huge, I have never seem them so big. They are very springy and smooth. I learnt from the food tour that they use mud carp and also but a bit of dried mandarin/orange rind into the mixture. The taste is very nice and the fish taste is not too powerful and you get a hint of something else, which must be the dry rind they put in. The wonton are just beautiful, they have a good amount of prawn chucks mixed in with a bit of pork and there is definitely more shrimp in the wonton compared to pork. Good sized wonton, so good that I found it difficult to put a whole one in my mouth. Finally the noodles are some of the best Chinese egg noodles I have eaten. They have a good bite to them and are not gluey in texture or taste. A little side note, I learnt this from the tour guide. 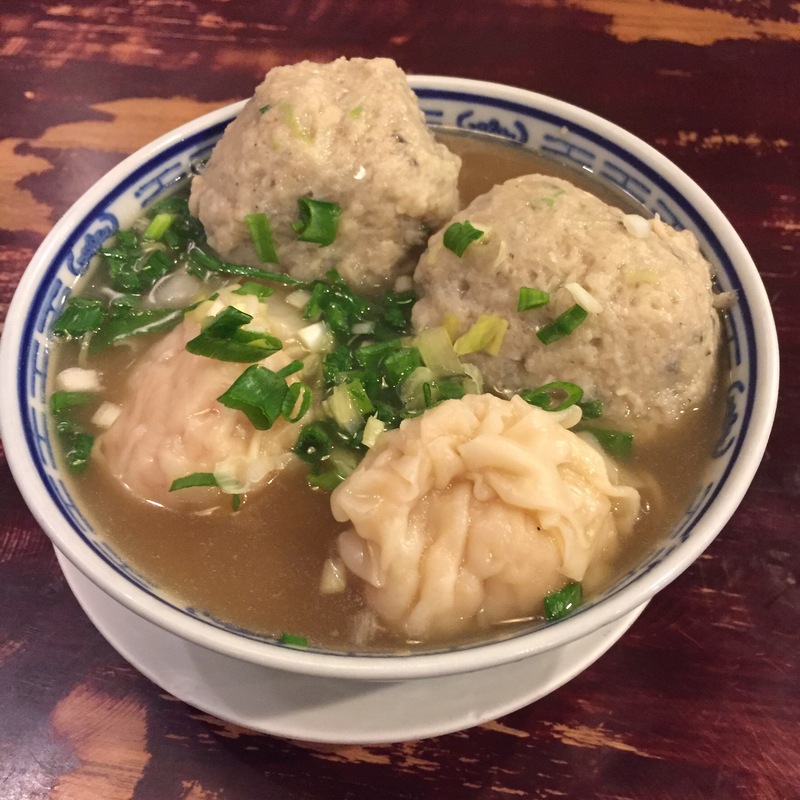 Leave some of the broth in the bowl after you have eaten your wonton and noodles. Then add some red vinegar to it. The broth then becomes this totally different soup and becomes refreshing and cleans the palette. It was amazing. I actually love this place. Great wonton and good noddles. Such good comfort food. Not as cheap as other places, but I suppose you are paying for quality over quantity. I will definitely go back the next time I am in Hong Kong.